The Texas Instruments' DM3730 DaVinci digital media processor is powered by up to 1-GHz (also supports 300, 600, and 800-MHz operation) ARM Cortex-A8 and 800MHz (also supports 250, 520 and 660-MHz operation) C64x+ DSP core, and has integrated 3D graphics processor, imaging and video accelerator (IVA), USB 2.0, MMC/SD memory card, UART and many more. DaVinci DM3730 video processor is pin-to-pin compatible with Sitara AM37x devices and software compatible with the OMAP35x processors. The C64x+ DSP and hardware video accelerator enable audio and HD 720p video decoding and encoding independent of the ARM processor.The programmable DSP engine allows multiple signal processing tasks such as image processing and analysis, digital filtering, and math functions. DaVinci DM3730 video processor is suitable for 720p HD (High Definition) video applications which require large amount of data processing. These applications include navigation systems, media players, medical patient monitoring devices, industrial test and measurement devices, industrial vision and portable communications. Embest DevKit8500D Evaluation Board takes full features of the DM3730 processor and supports up to 512MByte DDR SDRAM and 512MByte NAND Flash as well as a reserved iNAND design to expand the flash storage capabilities. The board has exposed many other hardware interfaces including serial ports, LCD/TSP, DVI-D, S-Video, Ethernet, USB, TF, keyboard, camera, SPI, I2C and JTAG. The board is able to support for Linux 2.6.32 and WinCE 6.0 operating systems. It has two methods to boot Linux and WinCE systems from either TF card or NAND flash. Besides, it is provided with Android 2.2 demo with driver source code. Embest gives instructions on how to boot Android demo image from NAND flash with TF card. Embest DevKit8500D Evaluation Kit includes DevKit8500D board and all necessary accessories to help users start their own applications. The board is preloaded with Linux OS in NAND flash and WinCE OS in TF card. User can display the subsystem using a 4.3" TFT LCD and Touch screen or using a DVI-D monitor through an HDMI to DVI-D calbe, or using TV for NTSC/PAL video out. Along with the kit, Embest provides user manual, schematic drawing and datasheet documents to help customers better understand and use the kit. Additionally, The board is support using XDS100v2 USB JTAG Emulator for debugging which is available from Embest. 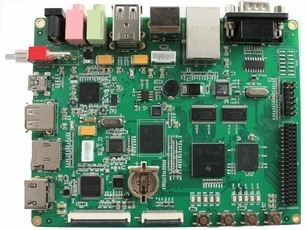 Embest also offers various modules for Devkit8500D including VGA, WiFi, Analog Camera, GPS, GPRS, 3G and Digital Camera modules which greatly extends the functions of the board and would be flexible for customer selection to meet their own needs.